KUALA LUMPUR (Nov 2): Revenue growth among telecommunication companies (telcos) in Asia-Pacific over the next 12–18 months will be lower in developed markets, but higher in emerging markets where data penetration rates are lower, said Moody's Investors Service. "Revenue growth rates for the telecommunication industry in developed markets such as Singapore, Australia, Japan and South Korea will register 1%–2% over the next 12–18 months," it said in its report titled Industry Outlook Telecommunications — Asia-Pacific: Outlook Stable on Revenue Growth from Data Services and Steady Ebitda today. By contrast, emerging markets such as China, India, Thailand and Indonesia will see higher growth rates of 5%–6%, added Moody's. "The slower growth in developed economies reflects the maturity and high tele-density of these markets, while the higher growth in emerging markets will be driven by increasing smartphone penetration and data consumption. 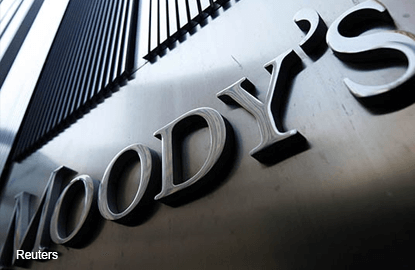 "Overall, the (telecommunications) companies' revenue growth will remain broadly in line with their home countries' gross domestic product growth rates, given the domestic focus of their businesses," said Moody's. As for aggregate adjusted earnings before interest, taxes, depreciation, and amortisation (ebitda), Moody's assistant vice president and analyst Nidhi Dhruv said the result will remain stable in 2016 as against levels seen in 2014, but average ebitda margins will decline marginally. "Leverage will remain at current levels, because of higher capital spending on 3G/4G network improvements, but liquidity will remain strong," he added. Dhruv said year-on-year aggregate adjusted ebitda growth should register about 0%–3% over the next 12–18 months, driven by revenue growth. But ebitda margins for the 22 telecommunications companies that Moody's rates across 13 jurisdictions will likely contract slightly to 38.7% by end-2016 from 39.1% at end-2014, owing to rising mobile-phone penetration, ongoing competition, and higher costs associated with data services. "Debt-to-ebitda will remain relatively constant at about 2.4 times, because incremental ebitda will be offset by additional debt raised by companies to fund capital expenditure, as well as shareholder returns in the form of dividends or share buybacks. "Nonetheless, liquidity will remain strong, on the companies' steady and recurring cash flows, and the resilience of demand for telecommunications services even in a downturn," said Moody's. The rating agency said in general, the companies have demonstrated strong access to both bank and bond market funding, and show manageable levels of foreign currency exposure.